Bro. Steven A. Fulton D.D.G.M. 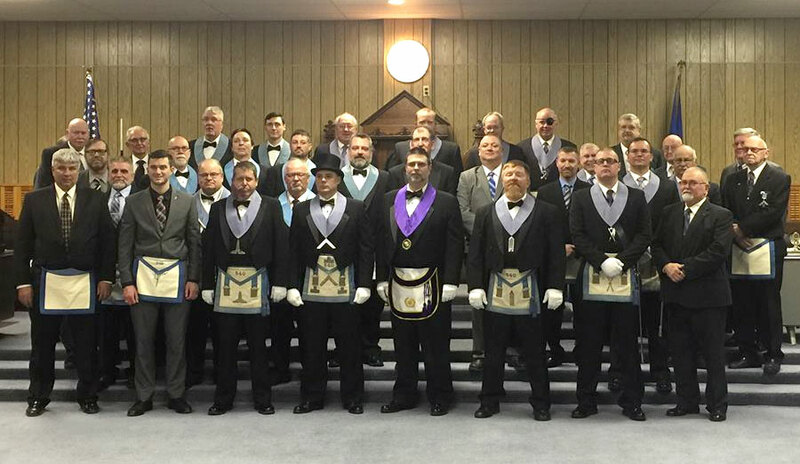 honored Argyle Lodge #540 in Chicora, PA with an official visit. The District Deputy is tasked with visiting each Lodge within District 27. It is an event that each Lodge looks forward to. Bro. Donald J. Stewart, Jr. 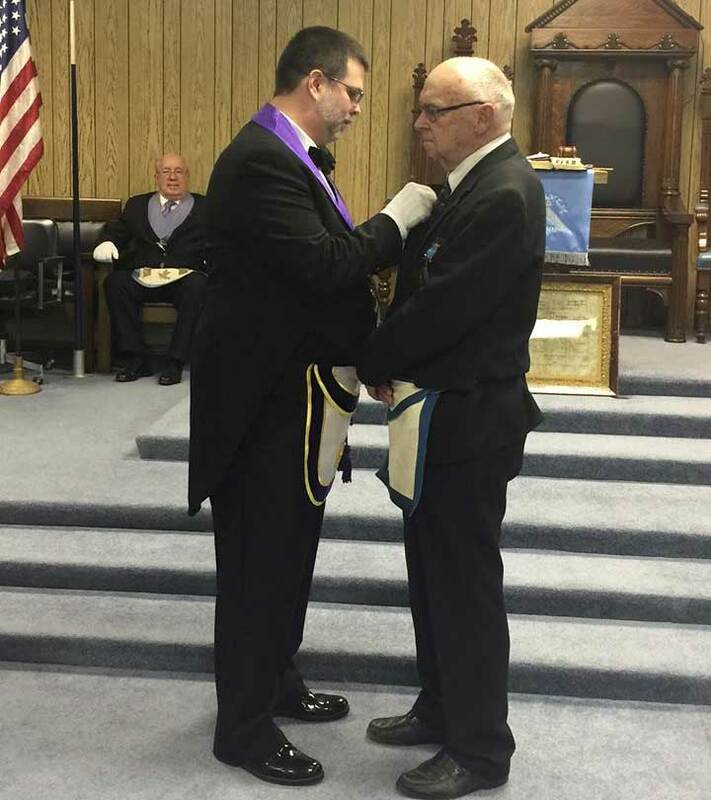 P.M. was presented with his 50 Year Masonic Service Emblem. This pin is given to Brethren who have served our Fraternity faithfully and honorably for 50 years. No small achievement. Congratulations Brother!